I am totally enjoying these two activities and I am glad to say that I am really getting better at both. I am in love with my new camera! ^_^ It's the only thing which manages to keep me offline for a while! 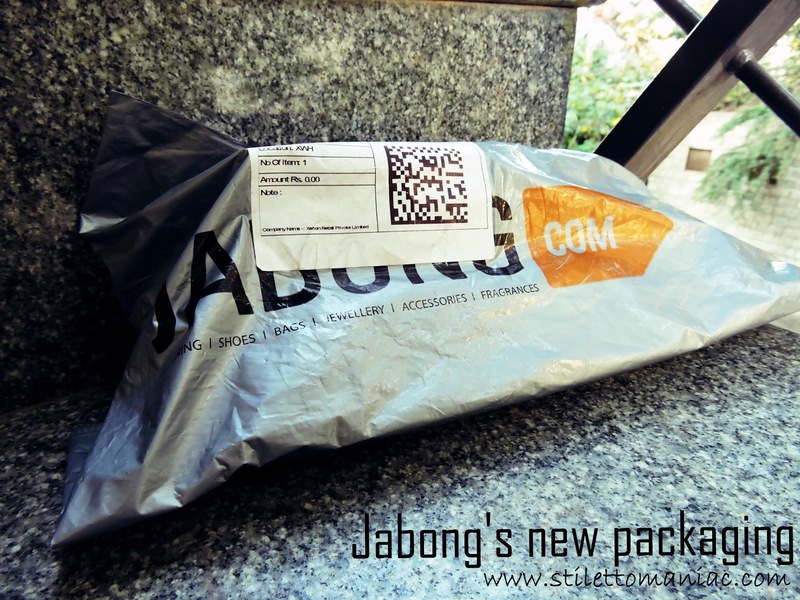 Coming to shopping, I recently got a chance to make a haul from Jabong Online Shopping Portal again. 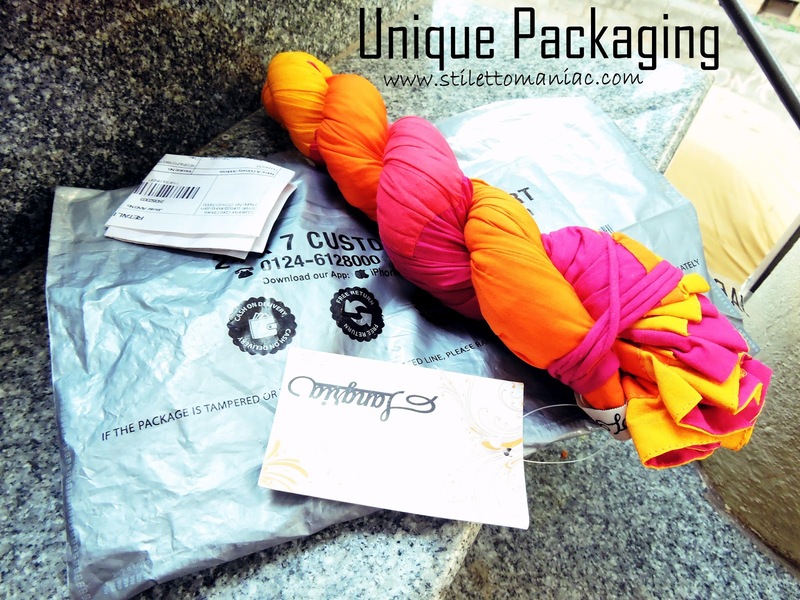 You can read my previous hauls from Jabong here and here. Jabong had a lovely sale going on at the moment and I was SO glad I could get my hands on this Kurti at such a feasible price! I had added five kurtis from the sale in my wishlist, three of which went out of stock within five minutes. ( I know, scary.) Then I zeroed on this kurti and proceeded to check out with it and to my HORROR, it showed out of stock. *mini heart break* here. I was so broken coz I really loved the colours in this kurti and wanted to own it. I was so irritated that I logged out of my account and tried engaging myself in other activities to lift my mood. As expected, the delivery from Jabong was quite quick. 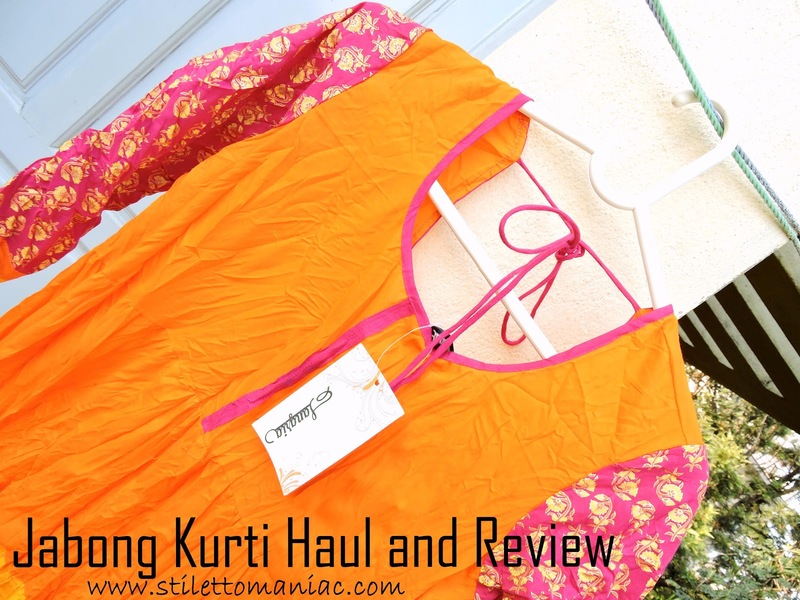 I received the kurti after one and a half days of placing the order. The first thing I noticed was the packaging. They have changed it from what it was previously. I love their new choice of cover, the old one which was white was too normal looking and this one stands out in all those plethora of white packaging covers by other websites. The second thing which I noticed was the irresistible way in which the kurti was packed. I don't know whether this credit should go to the folks at Jabong or the Kurti brand, Sangria themselves. 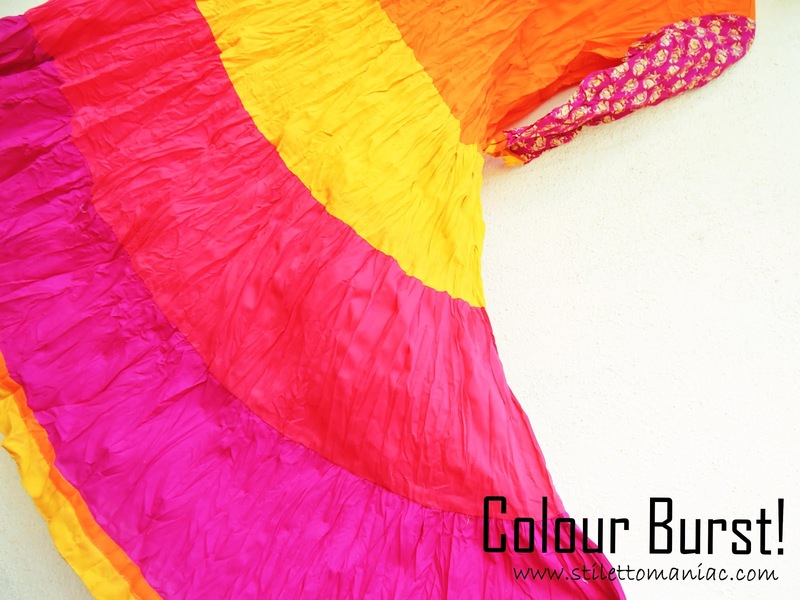 It was packed in a roll like a traditional Indian dupatta. I totally loved this unique packaging. 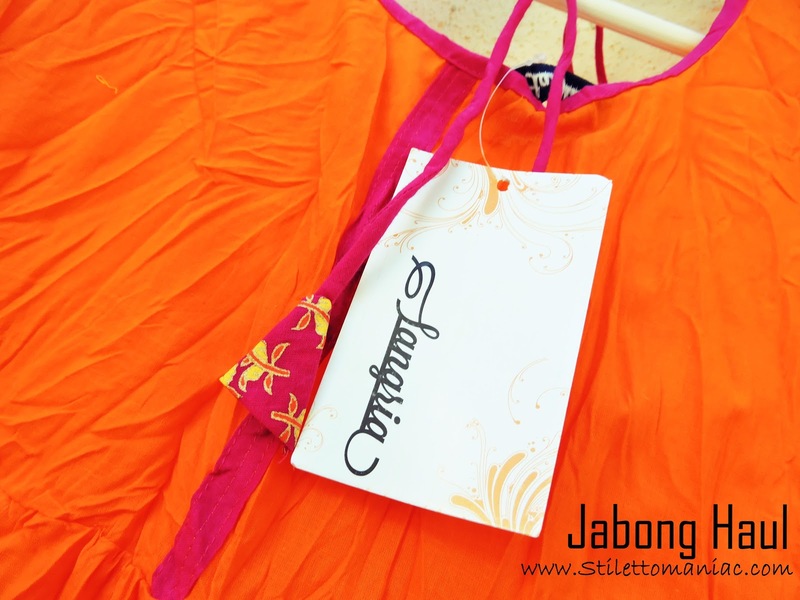 The final output was more than I had expected and I am so glad I chose to shop from Jabong after a long while! 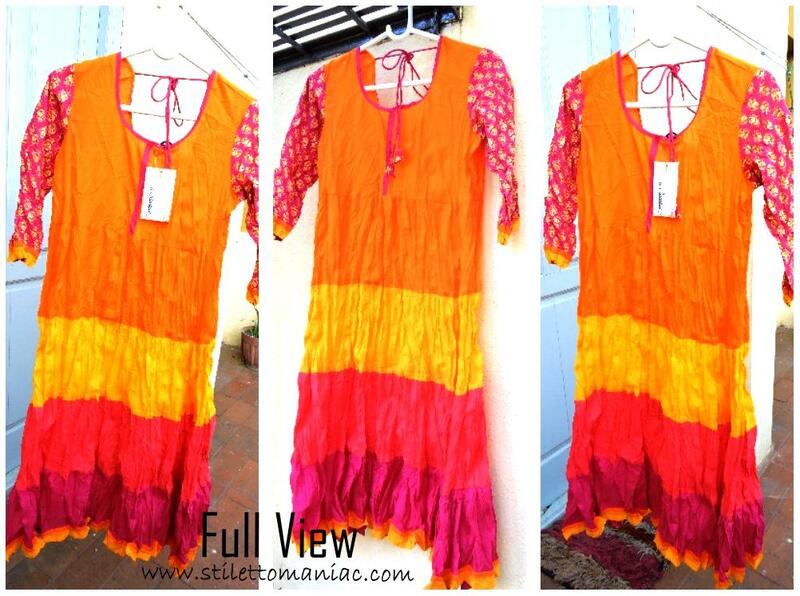 As always, they impressed me with their endless kurti collection and I have fallen in love with this colourburst kurti. 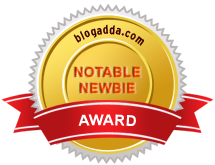 Like always, I had a wonderful shopping experience at Jabong Online Shopping Portal yet again! I love their endless collection especially in unique kurtis. If you have checked my previous haul from them, you will how unique and lovely kurtis they have at unbelievable prices! Awesome kurtis Bushra! Feel like getting some for the warm season now :-) thanks for sharing dear! It indeed looks like a rainbow! Glad you got it on your second try.